All of the guestrooms in the Chateau de Gilly are elegantly decorated, stylishly furnished and equipped with modern en suite facilities. They offer pleasant views over the gardens, the village or the Vouge River. Le Clos Prieur restaurant has 3 stars in the Gault & Milau 2010 guide and offers regional gourmet cuisine. It is set in a former 14th-century wine cellar of extraordinary architectural design. 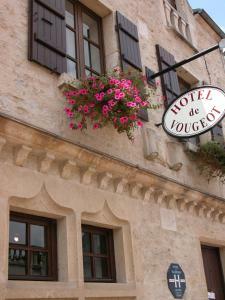 Hotel de Vougeot is set in the heart of the vineyards between Dijon and Beaune. The hotel offers accommodation in rustic buildings and there is an on-site wine cellar. All the rooms are equipped with a bathroom, TV and minibar. Some of them overlook the vineyards and the castle Clos de Vougeot. The vault of the hotel is home to regional wines. There is a breakfast buffet which serves homemade jams, gingerbread, fresh fruit and cereals. Guests can request picnic lunches and hire bikes from the hotel. 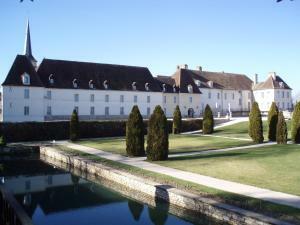 Hotel de Vougeot is ideally located for exploring the region. Visit the vineyards, golf course and nearby Abbeys and castles. Set in an ancient country house, Le Clos de la Vouge is located in the heart of a Burgundy vineyard, between Dijon and Beaune. It features an outdoor swimming pool with a terrace and sun loungers. The Clos de la Vouge offers individually-decorated rooms equipped with free Wi-Fi internet access. They each have a private bathroom and a TV. Guests can enjoy traditional cuisine and regional dishes at the Clos de la Vouge’s restaurant. Guests can relax in the bar, which opens onto the floral terrace. Free parking is available on site at Le Clos De La Vouge. It is an ideal base to discover the Côte d'Or vineyards, Dijon and Beaune.